The Medieval Academy of America is very pleased to announce the establishment of the Belle Da Costa Greene Fund. 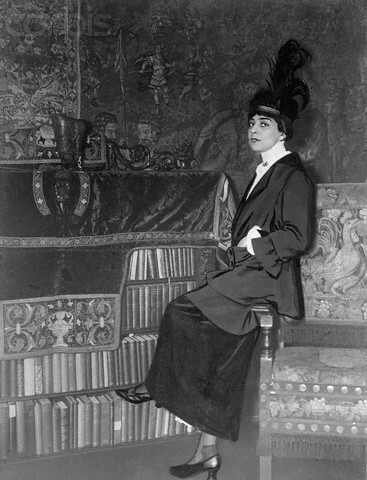 Belle Da Costa Greene (1883-1950) was a prominent art historian and the first manuscript librarian of the Pierpont Morgan collection. She was also the first known person of color and second woman to be elected a Fellow of the Medieval Academy of America (1939). According to the Morgan Library & Museum website, “Greene was barely twenty when Morgan hired her, yet her intelligence, passion, and self-confidence eclipsed her relative inexperience, [and] she managed to help build one of America’s greatest private libraries.” She was, just as importantly, a black woman who had to pass as white in order to gain entrance and acceptance into the racially fraught professional landscape of early twentieth-century New York. Her legacy highlights the professional difficulties faced by medievalists of color, the personal sacrifices they make in order to belong to the field, and their extraordinary contributions to Medieval Studies. Once the endowment goal of $45,000 has been reached, the Belle Da Costa Greene Award of $2,000 will be granted annually to a medievalist of color for research and travel. This is one of several incipient actions designed to make the Medieval Academy of America a more welcoming place for all medievalists. Click here to donate to the Belle Da Costa Greene Fund.